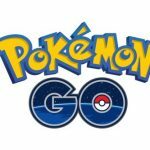 Pokémon GO has created quite a stir in the few days since Niantic released it for Android and iOS devices in select countries, including the United States. It’s gotten a lot of kids interested in the game, as expected, but adults are playing it too, gathering at parks to look for virtual Pokémon in this augmented reality game. As a further backgrounder on what this game is about, the game uses your phone’s GPS to take you out on a hunting trip, a real-world trip to parks, malls, and other places where the game directs you, just as long as there’s potential of throwing one of your Pokéballs (or Great/Master Balls) and adding a new Pokémon to your collection. It’s arguably the most innovative thing we’ve seen in mobile gaming in quite a while, and by the looks of things, it’s taken America, Australia, and New Zealand by storm, and may do the same once it gets a wider release in other markets. So now that you know the beginner tips and how to get more coins and items, we shall now move on to the pocket monsters themselves, as we teach you how to find, catch, and collect more Pokémon, and have a diverse collection of them. You may have had no trouble finding Pokémon in the park just a few blocks away from you, but what about in other parts of town? You might want to go farther away from your “comfort zone,” if you can call it that, as the farther away you are, the more likely you will be to find Pokémon you’ve yet to encounter. This might require you to play the game while far away from home, from the office, or from school. You may also want to head off to parts of town that are similar in nature to the different Pokémon elements. Want a water type Pokémon? Go to a pond, or possibly a swimming pool. Want a plant type? That’s easy – go to areas with lots of grass nearby. And if you’re looking for a fire type or a rock type, maybe you want to head to a place with a nearby fire (no, not an actual, destructive fire, of course! ), or near a cliff for the latter type. There are two main ways to lure Pokémon to a Pokéstop or any other location, and these include incense and the Lure Modules. While they’re quite similar to each other in purpose, they are also different from each other in a couple ways. 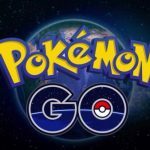 Incense lures Pokémon to a Pokéstop, while Lure Modules work for 30 minutes and will bring the Pokémon to your location, even if it isn’t a Pokéstop. It’s a good idea to use these lures in more places than one, for best chances of getting more different Pokémon varieties. If you notice that there’s a lot of activity nearby, with lots of people holding their phones and checking them with bated breath, chances are you’re near a Pokéstop, with someone having possibly dropped a lure. Typically, players tend to drop lures where there are nearby crowds. If you come upon a big crowd while doing your hunting, then chances are quite good someone may have dropped a lure somewhere. There are nocturnal Pokémon that are only active during the evenings, while others can only be seen doing their stuff in the daytime. You want to play the game in the morning to catch daytime Pokémon, but also to play it in the evening so you can get a solid stab at catching the nocturnal varieties. It doesn’t matter if they’re common Pokéballs, the more powerful Great Balls, or the super-powerful Master Balls. You’ll want to have all three types of balls with you in large volumes, as you’ll need them, not only to catch Pokémon, but to gain experience points and level up. As your level increases, you’ll see more rare, epic, and legendary Pokémon, all ready for you to catch and collect. Some Pokémon may fight back when you try to catch them, thus making them less cute than they seem and more frustrating to catch and collect. But you can cool them down by feeding them a Razz Berry, making them easier to catch; this is useful if you’re dealing with a yellow, orange, or red Pokémon level, and are all out of Great Balls or Master Balls, or maybe even out of PokéBalls for the meantime. The game will also let you use the Nearby menu, which will then allow you to check the footsteps next to the Pokémon. Three footprints means that the Pokémon is identifiable by radar, with the three-footprint sign meaning it’s still relatively far off. Two steps would mean the Pokémon is getting closer, while one step would mean that it’s in striking distance. Simply tap twice on the Pokémon to summon it if it appears on your end without any footprints. This feature, just to be explicitly clear, is not yet available. But Niantic has teased the possibility of a trading mechanic getting added with the next Pokémon GO update. With trading, you’ll be able to get rid of the Pokémon you don’t use, while offering something another person might not have yet. Since lures dropped in a crowded place attract more people, you might even meet another player in person and conduct your transaction right then and there. We did say in our general tips that it’s good to have two Pokémon of the same type, for evolution purposes. But nobody would want to have more than ten of each kind; that’s when you can give them to Professor Elm, thus giving you more space in your collection for the rarer, more powerful characters. That will also allow you to earn the Pokémon’s candy, which plays a part in evolutions and helps you add even more to your collection, while improving your skill in the battlefield. These would be our latest tips, tricks and hints for Pokémon GO. If you know more ways to catch more Pokémon, feel free to let us know in the comment section below!